Looking for cheap deals on heart items online has now been made easier. Find the latest offers and deals which are shared by our enthusiastic community of bargain hunters so you can enjoy massive discounts and savings. Are you looking for heart jewellery? Maybe pendants, bracelets or earrings? You can find great deals from Amazon and ebay. Heart-inspired toys, apparels and home decors are available from Tesco, Very, B&Q and Debenhams. Exclusive discount codes and special offers can be used on your next online purchase so you can stick within your budget! Obviously, heart shaped products have a strong connection with the topic of love. After all, the heart itself is considered to be the focus of human emotion; thus, any item – most especially jewellery, in the mentioned shape is seen as a combination of emotion and sophistication. So if you are thinking of expressing your appreciation to a person by giving a gift, this can be a perfect idea to consider. There is a broad variety of classic heart items you can choose from. You can go for earrings, necklaces, lockets and charms. While everybody probably wants a real diamond, there are still heart jewelleries out there you can own without sacrificing your budget. Hence, they can work as a substitute. There are heart pendants available made of metals. They can be of your favourite colour - white, yellow, silver or gold. They are good as artificial jewels already. Most of them are also hand-crafted so they are priced reasonably. You can look at this as an alternative. Indeed, the popularity of heart jewellery products and styles cannot be denied. Apart from this, there are still heart-designed products you can check including heart rate monitor, Lego, curtain, candles, wooden plaque, wine stopper, among others. You can get any of these from the internet. They are affordable provided that you find the best deal. 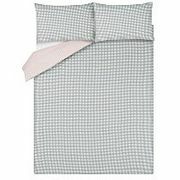 Where Can I Look for Cheap Heart Inspired Item Deals in the UK? Do you consider owning heart-shaped items including accessories and jewelleries? Do you want to have a heart rate monitor for working out or jogging? If you are thinking about any of these, you have come to the right place for sure. We will not make your search any more difficult. From the best budget heart rate monitor 2017 which may still be available today, up to the latest offerings in heart-shaped products and items, you will surely not run out of selections to choose from with us. The best bargain is waiting for you here! Heart monitor gadgets, and heart-shaped products are just at your fingertips. This is made possible with the special offers, discount codes, and sales available here at Latest Deals. Our team of money-saving experts and a community of bargain hunters are always updated with budget-friendly deals and offers on heart monitors and heart-shaped products. Check the best deals from Amazon, Argos, Debenhams, Very, Tesco, Halfords, eBay and whole lot more. 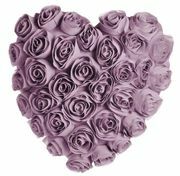 Where Can I Get Cheap Heart Accessories in UK? Amazon. From heart rate monitors, a cheap Fitbit alternative, to heart-shaped accessories, Amazon got you covered. This leading online retailer from the UK offers everything to its customers at an affordable price. Just use an Amazon discount code from the Latest Deals to enjoy extra savings. The heart rate monitors available in Amazon track time, distance, pace and calories burnt. This would motivate you to perform an extra mile as you attempt to stay healthy. Furthermore, this equipment may work best for marathon runners and other fitness enthusiasts. Argos. Looking for heart-shaped jewellery and watches? How about heart rate monitors to bolster your fitness activities? If you answered yes to both – Argos is the best place to do your shopping. Argos is not just for fashionable accessories, it also features functional ones like cheap heart rate watch and basic heart rate monitor. Through these devices, you will have an idea how to push yourself even further. There are models from various brands including Garmin, Fitbit, and Garmin. There is also other workout equipment you can purchase from the store such as exercise bikes, dumbbells, and treadmills. When you own this kit at the comforts of your home, you can stay on top of your goal. Avail all these without hurting your budget with the Latest Deals. Claire’s. 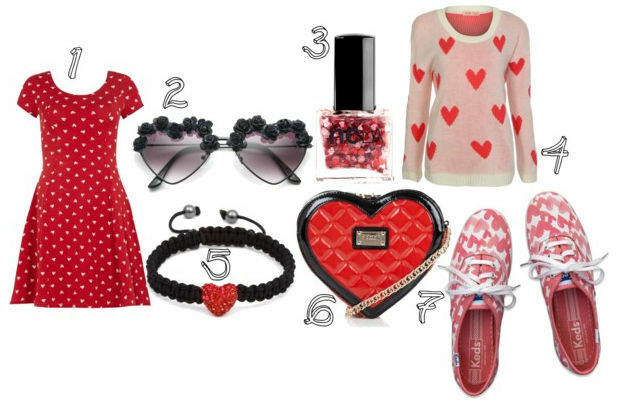 Hunting for heart-shaped earrings, necklaces, and bracelets? Claire’s has a wide array of selections just for you. This favourite go-to place for women never disappoints in providing vibrant accessories, sparklers, cosmetics, and more. With its discount codes and voucher codes, you can shop without worrying about your budget. The members of the Latest Deals share updated Claire’s accessories voucher codes from time to time. Be on the look for those! Currys. Currys is the answer if you are shopping for electrical gadgets and tools. The shop has a sea of selections for its customers from best the fitness tracker under £50, best heart rate monitor 2017 to other technology-related items. Aside from the overwhelming selections, you are also bound to enjoy Currys discount codes or voucher codes found at the Latest Deals. Be a member and make the most of them get affordable deals. Halfords. Every motorist and cyclist is aware what Halfords does. 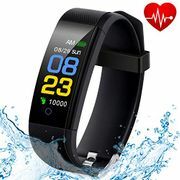 If you are planning to buy the best cheap heart rate monitor watch, this may be the store for you. Aside from these, Halfords also has great offers in technology, motoring, workshop, camping & leisure and kids’ zone. This is a trusted name for the maintenance of motor and cars in the UK. Get yourself a Halfords voucher code and Halfords discount code in order to get the real value of your money. This is accessible to the members of the Latest Deals. Lockets. Lockets are dubbed as one of the most popular styles of jewelries which were launched almost a century ago. Usually, they hold pictures together. The images are held by a lock for safe-keeping. 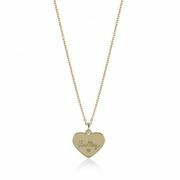 If you are thinking of purchasing a locket as a gift, or if you want to own one for yourself, you may choose from a gold heart locket or a sterling silver heart locket. Since these heart-shaped lockets became popular in the latter part of the 19th to 201th century, there is also a big possibility that you stumble upon antique heart lockets sold cheap these days. Look for them online. Antique jewellery. Antique jewellery, one good example of which is vintage heart design jewellery, can be a wise investment. Whether it is a thoughtful gift for a person you know, or something that you want to reward yourself with, you must not forget a heart-shaped antique jewellery on your list. Today, the cost of gold is really high. That is even amplified with antique and vintage gold jewellery that you can buy these days without difficulty. Hence, you will surely get the value of your money with this investment. What is even more appealing is that the quality of antique jewelries is elevated in the modern day. This is not the case with diamond jewellery. Think about this. Accessories. There are heart-shaped accessories that make the best substitute for expensive metal and real gems. Most of these attractive heart jewelries suit women. Since they are not costly, they can be coupled with your day’s ensemble – if you are one who likes matching everything on your outfit. From enchanting heart shaped rings, down to classic ones made of silver, you can acquire one without hurting your pocket for sure. On top of this, you can also check on used jewellery if you are open to that kind of idea.